The following section displays the various Trans-Siberian train routes and specific Trans-Siberian trains as well as arrival and departure schedules. 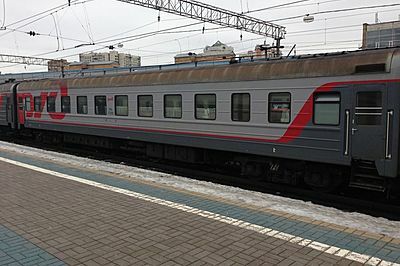 The train #100/099 operates on the route Moscow - Vladivostok on the daily basis. Its schedule changes throughout the year. Making 120 stops on the route the train crosses the distance of 9300 km. Only 2nd and 3d class carriages are available on this train. This train offers lower ticket prices than a firmenny train #001/002 Rossiya. A journey on the Trans-Siberian Express 'Rossiya' is the longest train ride in the world. The train goes through two continents and 90 cities. Travel time is 6 days. The train has 1st, 2nd and 3rd class carriages, ans also a nice restaurant car. 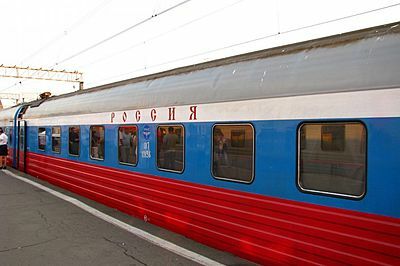 Rossiya train is considered one of the best trains in Russia in terms of service, friendliness of staff and upkeep. Use the search engine to find trains and see availability for a particular date. Select the train and the number of travelers. Add more trains to your order or proceed to check-out. Once the tickets are paid, we will issue them within 24 hours on business days. E-tickets and semi-e-tickets will be sent to you by email. Paper tickets can either be picked-up at our offices (free of charge) or delivered to your hotel or home address (at extra fee).